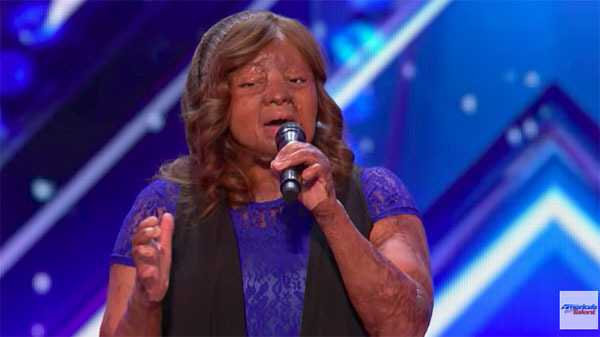 Kechi wows the crowd with her rendition of ‘Thinking Out Loud’ by Ed Sheeran on America’s Got Talent Season 12 Audition. Plane crash survivor Kechi received standing ovation from the judges and the viewers with her cover of Thinking Out Loud. “You are one of the beautiful people I’ve ever met in my life,” said Howie. “You are brave. You have a beautiful voice,” said Mel B. “I love the energy coming from you, you are beautiful and you did well,” said Heidi. Kechi received four yeses from the judges and she is moving to the next round. Watch her moving performance on the video below. Kechi survived a plane crash in Nigeria that took the lives of 107 out of 109 passengers when she’s 16 years old. She’s been singing since 7 years old. She said she use music as her escape during her recovery from the crash. What can you say about Kechi’s performance on AGT Season 12? Share your thoughts and views on the discussion box below.